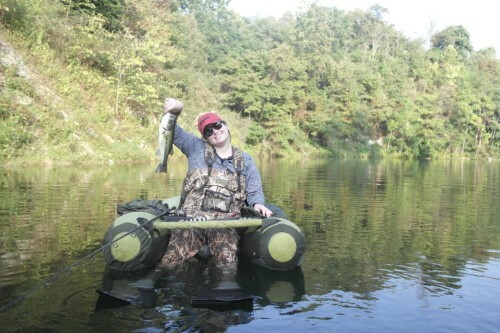 ﻿ Ohio Belly Boat FIshing - Ohio. Find It Here. 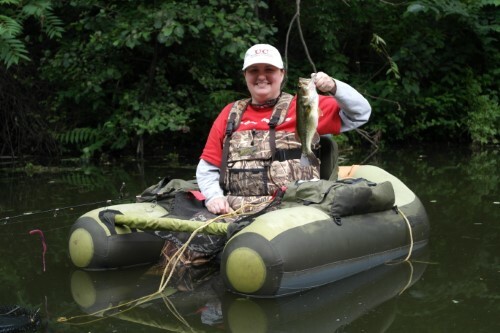 Start a new tradition and explore Ohio's wilderness while fishing for Large Mouth Bass, Bluegill and Crappie on an Ohio Belly Boat Fishing Trek. 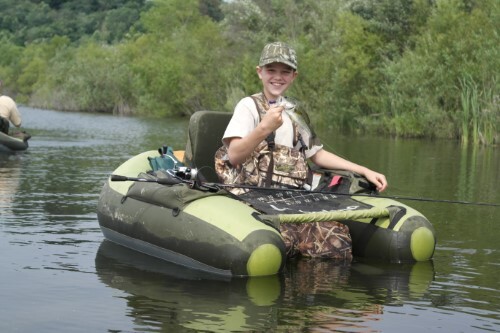 Belly boat fishing originated out west as a great way to fish mountain lakes. 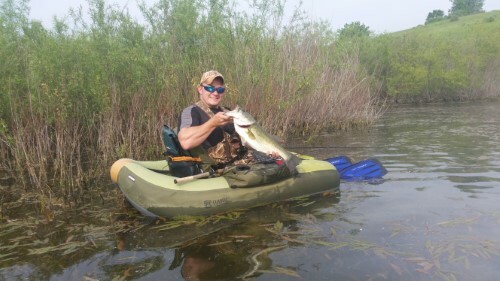 Today's belly boats are comfortable floating chairs that hold up to 350lbs. 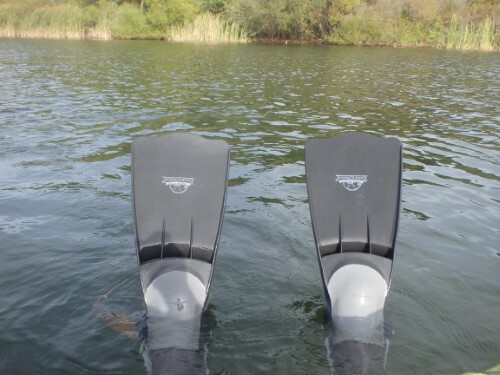 You'll sit above the water, wear fins, dip your feet in to about your calves and paddle gently like you're riding a bicycle. 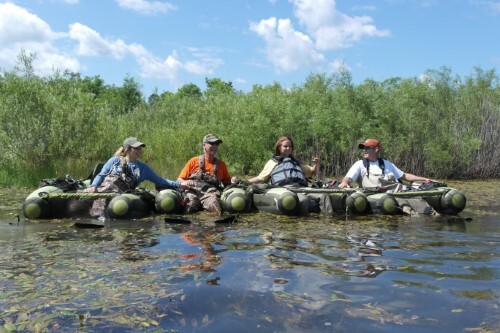 Our guide will meet you at a prearranged destination and bring all of the gear needed and make it easy to enjoy and explore a great way of fishing. We'll choose from hundreds of small lakes spread across thousands of acres of public access wilderness in Eastern Ohio's Jesse Ownes, AEP, TriValley or Woodbury wildlife areas. These areas are located within an hour or two of Columbus and two to three hours from Northeastern Ohio. Half day treks last about four hours and are ideal for one, two or three people. They make great gifts for beginners and advanced anglers alike. 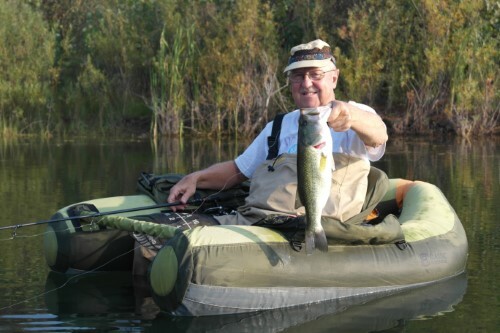 We generally fish from late March through November based on weather and water temperature. All treks are booked in advance by calling 740.777.2579. Please don't use the address provided for navigation purposes. All meeting points are determined at the time of booking.